Everyone needs one, and it's just the size to fit your water bottle in. This is the perfect cup for the trail...lightweight, ultra-rugged and with a space-saving handle that folds flat against the cup. 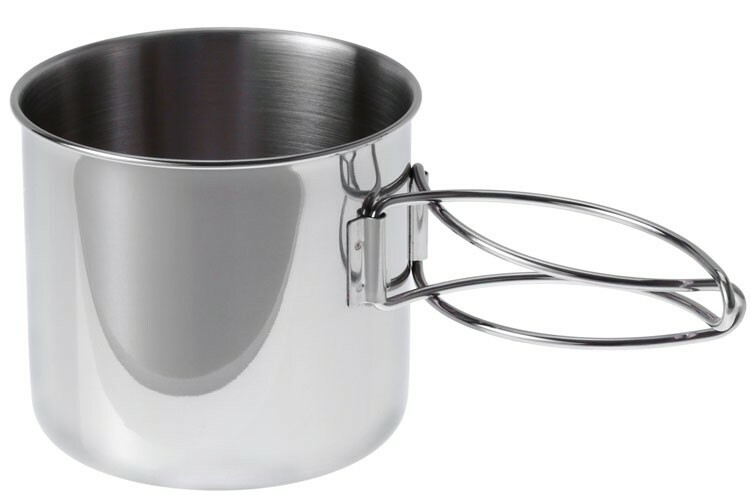 It's made of high grade 18/8 stainless steel that can go right in the fire for cooking. Your N algene and Klean Kanteen bottles fit inside for easier packing.